Former Israeli president Shimon Peres died today, leaving behind a storied career that spanned more than seven decades — some of which has been immortalized memorably on video. From a job hunting parody video to an inspirational TED talk, we gathered just a few of Peres’ best on-camera moments. 1) Shortly after retiring, Peres cheekily starred in a short video that featured him trying his hand at a few other jobs. Namely, a gas station attendant, a pizza delivery man and grocery store cashier. 2) During an interview at TEDx, Peres revealed his secret to a long life (“Start every day with a glass of lemon juice,”) and his own personal philosophies. “In the evening, I make a list of the mistakes I made during the day and the people I insulted, and I look for ways to correct it,” he said. “In the morning, I make a list of the dreams I have and try to realize them. 4) The former president celebrated Christmas one year by singing along to “Jingle Bells” — but didn’t quite know all the words. 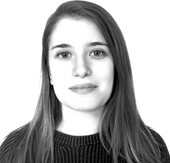 Thea Glassman is a Multimedia Fellow at the Forward. Reach her at glassman@forward.com or on Twitter at @theakglassman. This story "WATCH: 5 Most Memorable Moments With Shimon Peres" was written by Thea Glassman. Thea Glassman was an associate editor for the Forward. Follow her on twitter @theakglassman.